Rachel's practice focuses on employment and commercial litigation. She has experience litigating on behalf of both plaintiffs and defendants in a wide range of state and federal matters, including employment disputes, class actions, breach of contract, fraud, constitutional law, creditor’s rights, real estate, health care and professional malpractice. Rachel received her B.A. from the University of Wisconsin and her J.D. from the Chicago-Kent College of Law. She was on the Dean's List for both schools and was the associate editor for the Journal of International and Comparative Law during law school. 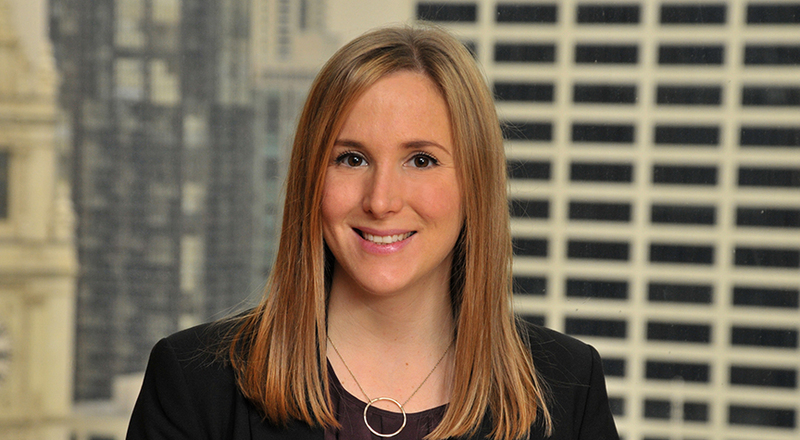 Rachel is honored as an Illinois Super Lawyers Rising Star 2019 for Employment and Labor Law.